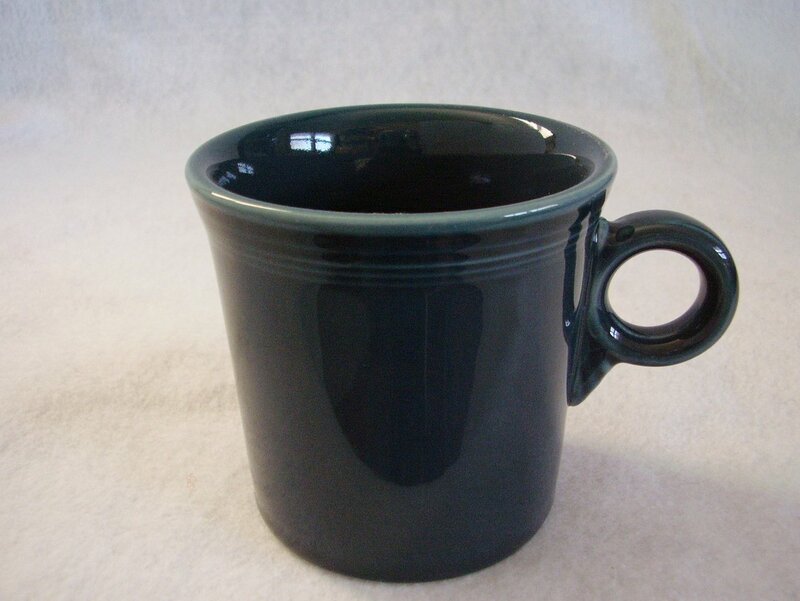 A contemporary Fiestaware Juniper T & J mug. It appears as new and never used. There are no cracks, chips, fleabites or scratches. It measures 3 1/2 inches tall and holds 10 1/4oz. 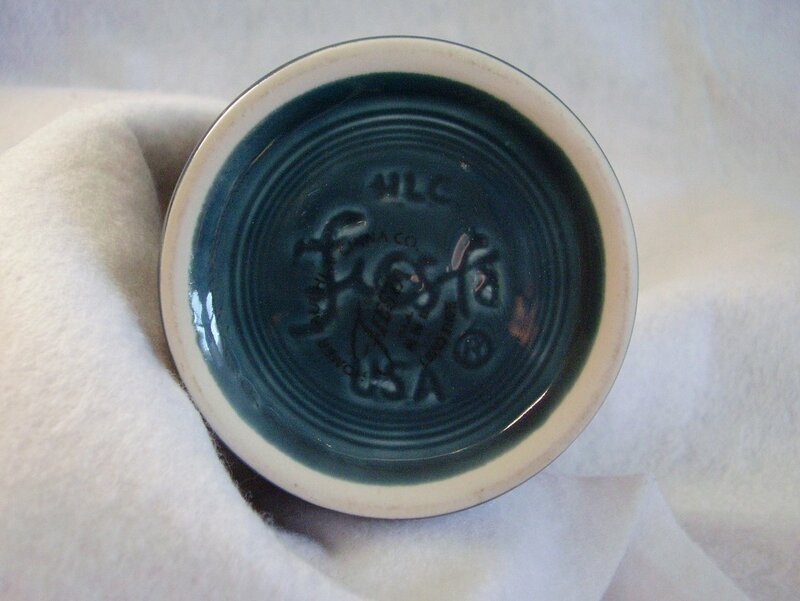 A contemporary Fiestaware Juniper T & J mug. The color was introduced in 1999 and was discontinued in 2001. It appears as new and never used. There are no cracks, chips, fleabites or scratches. It measures 3 1/2 inches tall and holds 10 1/4oz.